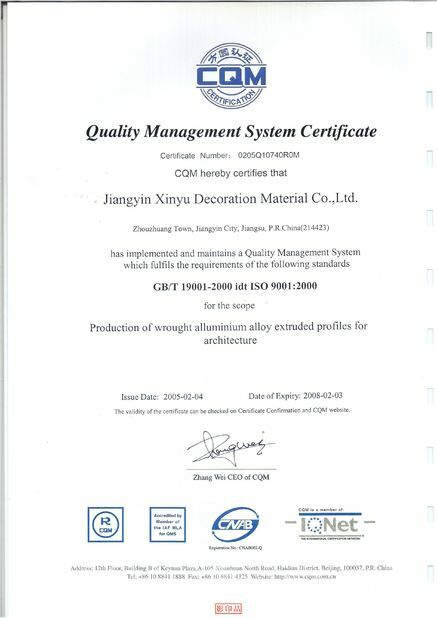 We,Jiangyin Xinyu Decoration Material Co.,LTD is one of the main manufacturers of aluminium profile and aluminium extrusion in Jiangsu province,China,we are ISO 9001:2008 , ISO 14001:2004 ,CE certified company,established in the early ninety's,have exported for more than 20 years,the company covers an area of 220000 square meters,construction area of over 150000 square meters,with 250000000 yuan in fixed assets,more than 500 employees,owns 9 sets of 13 tons of water Horizontal line,production of aluminum rod 21 aluminum profile hot extrusion production lines,3 oxidation electrophoresis production line,4 Wagner powder coating production line,Italy fire imitation wood grain production line 1,domestic imitation wood grain production line 1,thermal profiles students Production line 2,set casting,extrusion,oxidation,electrophoresis,powder coating, wood grain transfer,mould manufacturing,new product development in one,is a manufacturer of a variety of international advanced level with high-grade construction windows and doors,decorative type Material,industrial profiles of professional enterprises. 1. Payment terms: By T/T, 30% down payment, balance against the B/L copy. Or L/C at sight. 2. 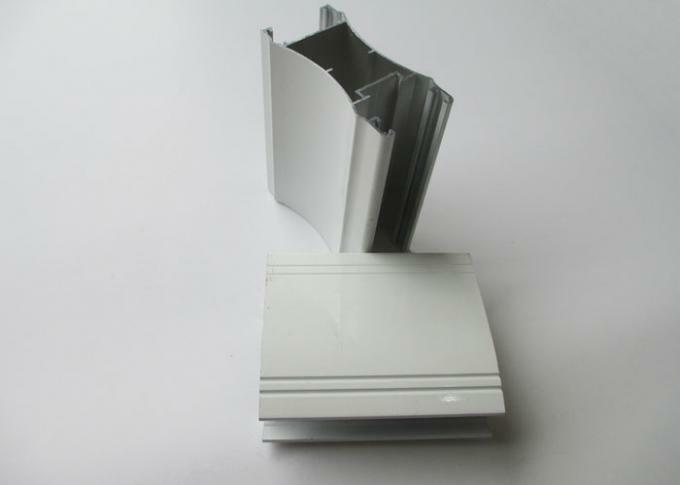 Lead Time: 15-30 days after deposit be confirmed. 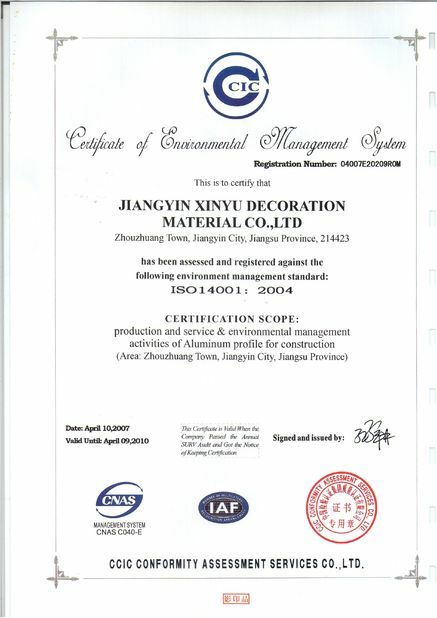 Finish of aluminum itself, with a natural anodic layer formed in the air, weak corrosion resistance. 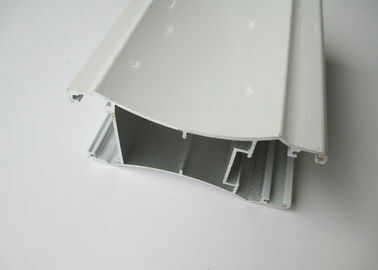 Through an eletrical process to form a certain layer of anodic layer on the surface of profile. 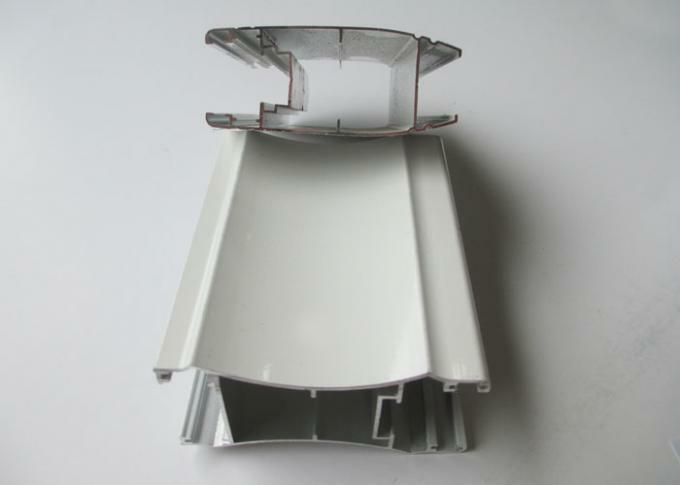 Base on anodized process, an extra transparent film is formed to make the surface clearer and look bit of shining, with very good corrosion resistance. New technology in finishing to form a texture look like real wood.